The moment that many have been waiting for has now arrived: Grand Theft Auto V is now open for pre-orders everywhere! Check out the full pre-order listing here. Not only that, but they've also released the full version of the artwork featured in last weeks game release announcement, titled Beach Weather! You can also pick it as a wallpaper from the official Rockstar site. Stay tuned for an update on the second GTA V trailer sometime in the coming week or so! You can also get this beach babe as a Social Club avatar too! The second trailer will be released on Wednesday, November 14th! I pre-ordered GTA V at my local Gamestop, too like everyone else is, but the funny thing about it is, I didn't do so until the 8th, not right on the 5th when pre-orders began, and I still was able to get that nice free poster. After 3 days, I was lucky I got a poster, but I think I missed out on the viewfinder thing. Oh, well, the poster is good enough for me; I have it on my bedroom wall. 2nd trailer update. I'm tired of updates. actually over the weekend gamestop was already doing pre-orders, and they gave out a viewfinder, and a poster. i got the guy holding back the rottweiler as a poster, and the del perro pier for the viewfinder, but the pre-order bonuses are limited so if you want one you should pre-order asap before they run out. You are buying something that doesn't release for a while. You are claiming a copy of the game for yourself. @Stockers, no. There will probably be an update on when it'll be released, but no actual trailer this week. Wow man! Another week or so for the 2nd trailer. This blows. 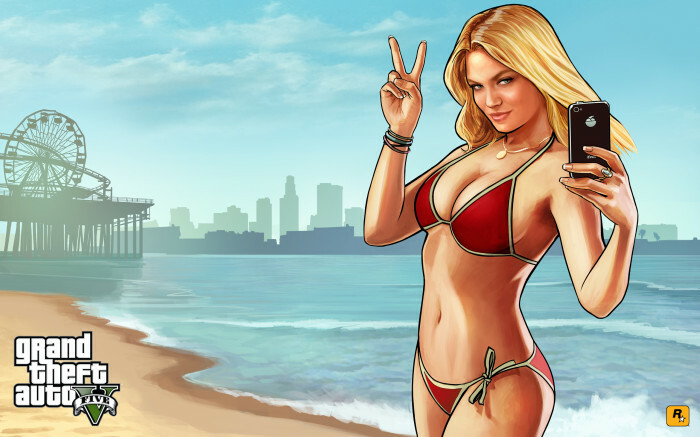 GTA V Officially Open for Pre-Orders - GTA V officially open for pre-orders plus a new official artwork!